Thank you Emily for sharing our ‘Living the Dream’ holiday and thank you Hilltop Classics for helping to make it happen. We look forward to our next adventure. Cruising along, taking in all of the sights was great and parking up at our different campsites was fab because Emily has everything on board that was needed to look after us whilst we were away. When we got home Mum was very jealous of our time away! Just a quick note, to say thanks for the hire of Molly. Sue and I loved the experience and I have bizarrely bought a VW magazine this week!!! We adore Molly! We had such an amazing time with her and think she enjoyed herself so much that she’d like to come home with us!! We had a lovely few days and were delighted by how cosy and comfortable Molly was. First time we’ve ever stayed in a campervan and we were very impressed. Well, what a fantastic time we’ve had with Mr Benn! Our first experience of stepping foot inside a campervan - never mind driving or sleeping in one! Thank you Mr Benn for taking us on an adventure across North Wales. It was nice to know wherever we went, Mr Benn would be waiting for us to return. Despite his age, he was super comfy and well equipped. Loving the décor, especially the map curtains. Lots of other campers came to talk to us because of Mr Benn; he just makes people smile. It was tough to hand back the keys! Jessie is the most beautiful car / home we’ve had the privilege to travel in. Safe and cosy haven. Even on wet and windy nights! Jessie is a vintage beauty, we’ve enjoyed every minute. What an experience; loving all the attention the campervan brings from passers-by. Jay loved leading the convoy of traffic! They all seemed so smiley when they passed us by and lots of waves! Loved the slower pace of life; we really did live the dream! We hope he had fun with us and we would love to see him again soon. 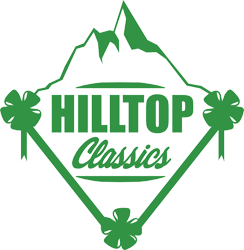 Thank you Hilltop Classics for a truly wonderful experience. Wow! We picked up Mr Benn with two very excited children. We all fell in love with him straight away. We had an amazing adventure. It’s been fab seeing parts of Wales we hadn’t visited before. We will definitely be renting again! Craig has had the biggest smile on his face the entire time he has been sat behind the wheel of Mr Benn. Mr Benn was Craig’s birthday surprise treat and he has definitely fallen in love with the campervan way of life. Mr Benn certainly catches everyone’s attention; he does look gorgeous gleaming in the late summer sun. Mr Benn has made one of Craig’s lifelong dreams come true of driving a split screen campervan. Thanks Mr Benn you’ve been perfect! Stay safe and enjoy your next adventure! A huge thank you to Hilltop Classics too, of course.